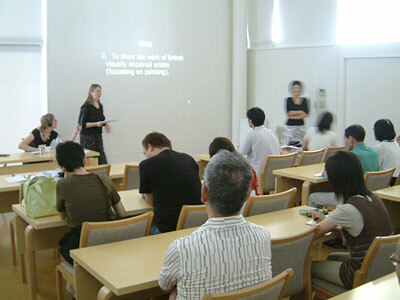 Experience in presenting talks has been in both formal and informal settings. I have given PowerPoint presentations about my work in Japan and Brussels, and given talks on the disability art sector, followed by Q and A sessions. I have acted as guest speaker for organisations such as the Art House and RNIB. I have also undertaken interviews for radio, including In Touch.